The Emmerson is our classic contemporary styled diamond halo engagement ring. This ring is crafted in a combination of 14k white and rose gold. This setting is a custom made piece and can suit a variety of diamond sizes at center. 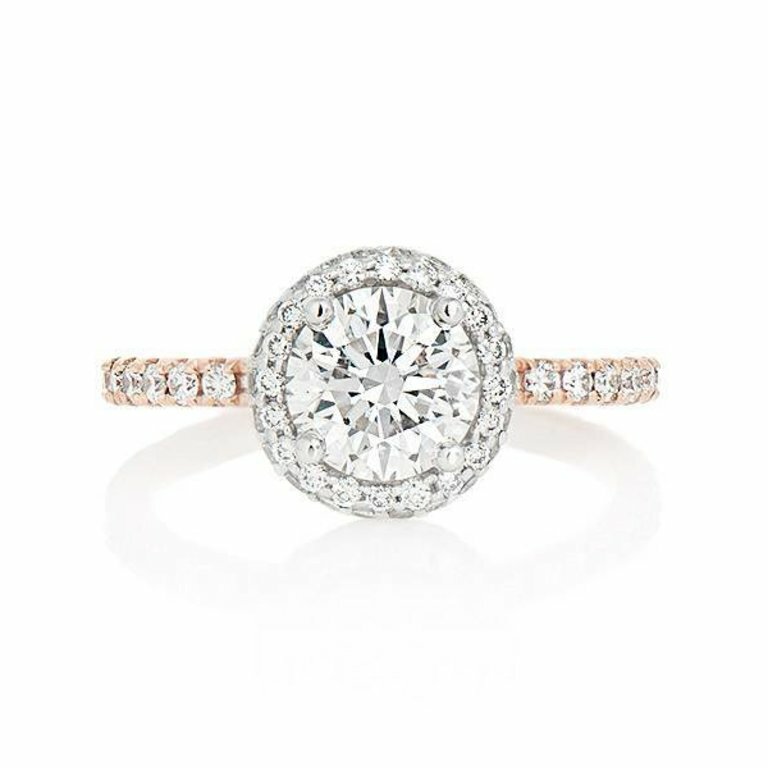 The center diamond is surrounded by a halo of round brilliant cut diamonds that also extend down the rose gold shoulders of the ring. These diamonds have a combined weight of 0.68ct. 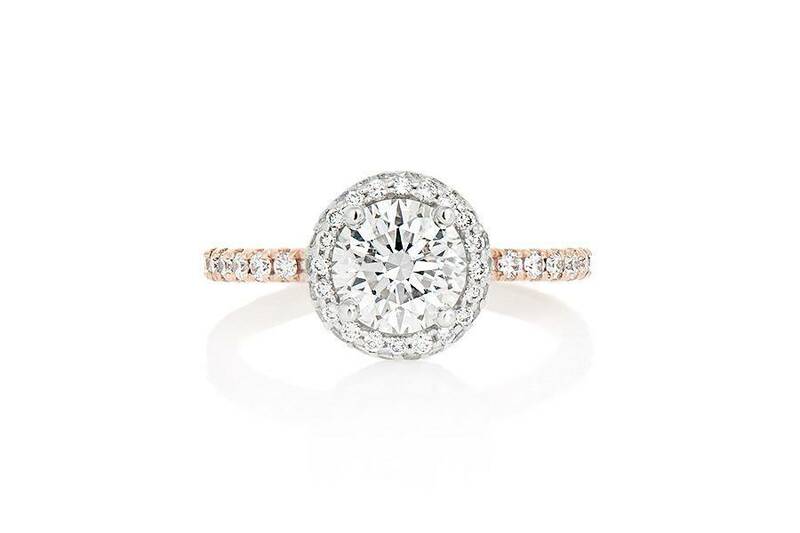 The setting of the center diamond also incorporates diamond pave detail. It is pictured with a 1.00ct sized center and the setting (not including the center diamond) starts at $2,520 and up, plus any additional setting fees.